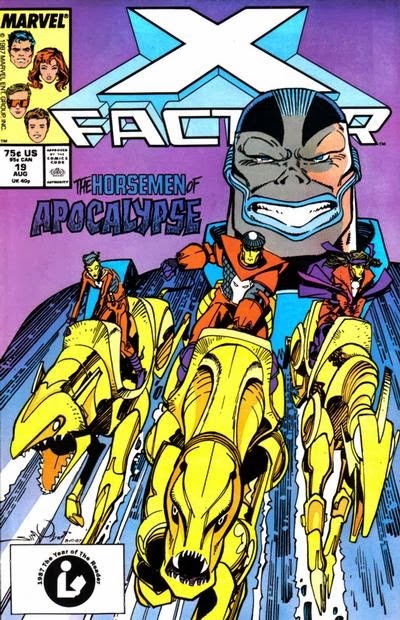 Apocalypse unleashes his Horsemen on X-Factor. As Scott and Jean clean-up the damage caused by their recent fight and discuss Hodge's machinations, debating whether they should just shut down X-Factor, Iceman, Beast and Caliban search the city for Boom-Boom. As they search, Iceman's super-charged powers attract attention, including a pair of news choppers that begin to follow them. Overhead, Apocalypse watches X-Factor as his Horsemen squabble amongst themselves. They tell Apocalypse they are powerful enough to take down X-Factor themselves, without the fourth horseman, so Apocalypse sends them to face X-Factor as a test of their abilities. 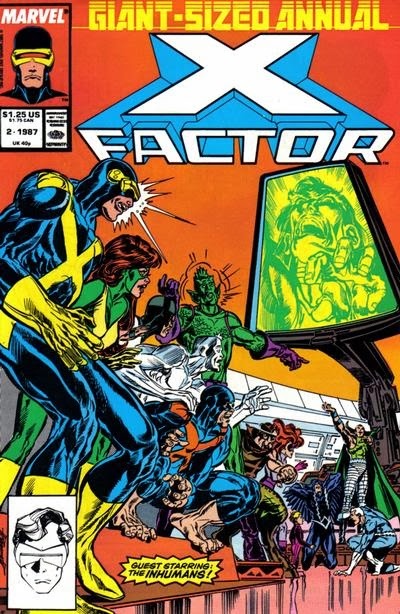 At X-Factor headquarters, as Scott and Jean are training Leech, Rusty and Skids rush in to tell them their teammates are on TV, being attacked. Meanwhile, Beast, Iceman and Caliban take the fight with the Horsemen into Central Park to limit the collateral damage. The New Mutants go to a party as Louise Simonson comes aboard. As the New Mutants get ready for a party celebrating the launch of Lila Cheney's new album, Sam worries about fitting in with Lila's crowd, while Rahne is much more interested in investigating the mysterious bird boy being studied on Governors Island. 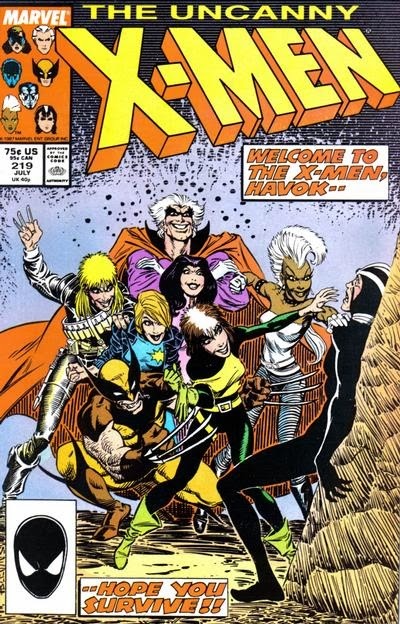 When the New Mutants arrive at the party, they interrupt an exchange between Lila and an alien named Raek, with whom she had dealings in the past. As Lila and Sam reunite, Dani and Illyana rush off to dance while Rahne and Doug take in the party. Raek realizes that Sam will make it difficult for Raek to convince Lila to help him and his cohorts, so he plays off Sam's insecurities about fitting in with Lila's friends and offers him drugs, which he insists will help Sam fit in. Storm, hoping to regain her powers, sets off in search of Forge. In the Rockies, Storm meets with Wolverine, telling him she has decided to seek out Forge's help in restoring her powers. She asks Wolverine to lead the X-Men in her absence, but he refuses. She insists, and eventually he reluctantly agrees. Later, Storm stands outside Forge's home in Eagle Plaza, in Dallas. Entering, she finds it deserted and the entire building without power, forcing her to take the stairs to Forge's penthouse. As she climbs, Naze, Forge's one time mentor, senses her presence, and prepares a welcome. Storm emerges into Forge's penthouse to discover his holographic systems and defenses have been activated. She fights her way through the building as scenes of Forge's past, including his time with Storm, play out around her. Honestly, I think the biggest issue with this episode was that there wasn't more of it. The concept (to show what the Mother was up to during the years we've been following Ted, showing the moments their lives almost intersected from her perspective) is a clever one and, frankly, a necessary one, but I want more, not necessarily from this episode, but from the series as a whole. The episode did a decent job of giving the Mother a character arc, one that carried through the eight years it spanned, grounding things so it wasn't just twenty-odd minutes of clip show paced "then this happened, then this happened, then this happened". That said, it did feel like that at times, simply because there's only so much room to work with in one episode, and that's where giving the Mother more screen time to cover this ground in other episodes could have alleviated the problem. Well, once again this is a thoroughly average episode, with neither significant highs nor lows, and once again, the host is largely irrelevant to that outcome. Jonah Hill more or less did what he was asked to do ably, including a return for his recurring character and a variety of roles as both the featured player in a sketch, a supporting character, or a straight man. But the writing never really required him to do much, and the result was another blase episode (though one that was, overall, still weaker than last week's similarly blah episode). You can find my review of All New X-Men #22, the first part of the "Trial of Jean Grey" crossover, for Sound on Sight here, and my review of X-Files Conspiracy: Ghostbusters #1 here. Once Upon a Time: Think Lovely Thoughts. How dumb is Henry? Wouldn't it be awesome if he was just dead now, and we were done with his character? I'm fine with the idea of Peter Pan being Rumplestiltskin's dad (they were obviously connected somehow), but the reveal would have been more effective if, once again, it didn't occur in the same episode in which we first meet Rumple's dad. And also if his desire for immortality/childhood had been more firmly established prior to their arrival in Neverland, whereas before then, he just seemed kinda shifty and irresponsible. That said, I really like the idea that Neverland is just some place Pan dreamed up as a child before eventually going there to rule it, and the casting department once again outdid themselves in casting Rumple's dad and young Rumple. The X-Men confront their greatest desires in order to defeat a powerful alien. Late at night, Wolverine drunkenly stumbles home, having been out "celebrating" the anniversary of his aborted wedding to Mariko. Later that evening, the X-Men, along with their guests Captain Britain and Meggan, are attacked and defeated by a powerful alien named Horde. He teleports them to a massive citadel and tasks them with entering the citadel and acquiring for him a crystal which resides inside that will grant him the power to rule the universe. Left with no choice, the X-Men enter the citadel. They quickly realize the citadel defends itself by making the hearts desire of those who enter real. Rogue is quickly lost as she becomes a Southern belle, followed by Havok, who is transformed into a star and freed of being responsible for his massive power. Longshot, having no desires, is absorbed by the citadel, while a despondent Dazzler is overwhelmed by visions of what her life could have been: successful attorney, superstar performer, or homeless bag lady. "Justice For All" / "Uneasy Allies" / "The Soviets Strike Back!" / "Day of Judgement!" 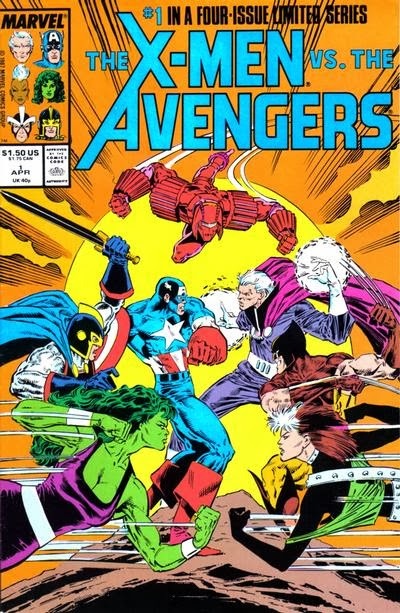 The Avengers, the X-Men and the Soviet Super-Soldiers battle over Magneto. Issue #1: As fragments of Asteroid M come crashing to Earth, Magneto leaves the X-Men to investigate one of the crashes in Kampuchea. The Soviet Super-Soldiers, hoping to execute Magneto for his crimes against Russia, and the Avengers, hoping to capture Magneto and bring him to trial before the Soviets kill him, track him down. The Avengers arrive first and arrest Magneto, but the X-Men, who followed Magneto themselves, intervene, just as the Soviets arrive. 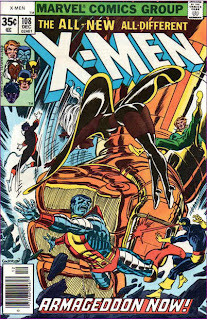 Issue #2: In the ensuing melee, Magneto and the X-Men manage to escape, with Magneto retrieving his helmet and other equipment from Asteroid M before setting explosive charges, believing the base to be too dangerous to fall into the wrong hands. The Avengers defeat the Soviets then confront Magneto once again, though the ensuing explosion allows him to escape even while he spares them from the blast. The X-Men speed away, unaware that Dr. Druid has stowed away on the Blackbird. Moreso than any other except maybe the season premiere, this felt very much like a "final season" episode, harkening back as it did to Barney's origin and the season one/two break-up of Lily & Marshall even while it presented a flashforward look at the birth of Ted's second child. "What Barney does for a living" isn't one of those questions that I've been dying to have answered, but I nevertheless appreciate the effort, particularly since it amounted to more than just the "please" acronym gag and tied in with Barney's overall character arc (both in terms of his growth and his propensity for con games). Meanwhile, the pseudo-cliffhangery "Lily leaving in the middle of the night" plot is a bit of a false-starter (given that we know she comes back), but it's an effective way to use the show's history to move the characters forward even while it adds to the retrospective feel of the final season. Despite being the first episode back from the holiday break, the majority of the enthusiasm and energy in this episode came from the host. I had no idea Drake was such a comfortable performer (then again, I know very little about Drake, including, until now, his turn on Degrassi), and his energy helped lift some otherwise middling sketches on a night that otherwise fit the mold of the season: consistently solid, with neither very high highs or low lows. This was the debut episode of Sasheer Zamata, the first female African-American the show has had in its cast for years, who was hired during the break as part of an audition specifically geared towards finding a female African-American cast member. Now that she's here, all the shows problems with diversity are solved, right? Right. Venus #6, August 1949 (historical); Journey into Mystery #85, October 1962 (modern). Powers and Abilities Loki is an accomplished sorcerer, capable of using magic to shapeshift, teleport, fly, generate energy blasts, ensorcell individuals, and more. Additionally, like most Asgardians, Loki possesses super-strength, durability, and longevity. He also has a genius-level intellect and is an adept liar and manipulator, capable of conceiving and enacting elaborate, multi-layered schemes. The Enchantress, Skurge the Executioner, Fenris Wolf, Hela, and the Midgard Serpent, Tumblr. Nobody in the TV world takes the TV Golden Globes very seriously (because the HFPA really doesn't), but it was still nice to see Amy Poehler win for her work on Parks and Recreation, making the HFPA the only major awarding body to recognize that excellent show. Very surprised by both Andy Samberg's and Brooklyn Nine-Nine's wins. I mean, I like that show, it's steadily improving and I'm glad that these wins should (hopefully) lock it in for a second season, but I don't think it's the best comedy on TV right now, even amongst the other Globe nominees (that would be Parks and Rec). Someone needs to work on the seating chart for next year. I think *I* could have gotten from my couch to the podium faster than some of the winners. As any of you who follow me on Twitter have seen (and if you don't follow me on Twitter - @AustinGorton, clever, I know - you should), this week I began contributing comic-related articles to Sound on Sight, a pop culture website that covers everything from films to TV shows to comics to games, in addition to hosting a plethora of podcasts. I'll be contributing reviews and feature articles to their comic book section, and you can find my first two reviews, of X-Men Gold #1 and X-Files: Conspiracy #1, here and here, and all my Sound on Sight writings here. Moving forward, I'll also be posting links on this blog to future articles there. Never fear: X-aminations are staying right here on Gentlemen of Leisure, as well as my weekly TV reviews and all that stuff (though my long-promised "To Better Know A Villain" post on Loki will likely end up on Sound on Sight). This is just another place to find my writing, doing something a little bit different than what I do here. I hope you check it out (and check out some other stuff on Sound on Sight as well - if you're any kind of Disney fan, I recommend the Mousterpiece Cinema podcast, which is what brought Sound on Sight to my attention in the first place). X-Factor and the Inhumans battle Quicksilver and Maximus the Mad. X-Factor is in Central Park as Artie and Leech play with Franklin Richards and the Power children. Suddenly, Quicksilver and Lockjaw appear, and Quicksilver grabs Franklin. However, the pair is unable to flee as Leech is blocking Quicksilver's super speed and Lockjaw's teleportation ability. The Power kids attempt to help Franklin and call out to X-Factor, who join the fight, but all are rendered equally powerless by Leech. Eventually, the fight strays far enough from Leech that everyone's powers return, and Quicksilver orders Lockjaw to take them home. Lockjaw proceeds to teleport Quicksilver, Franklin and X-Factor to the court of the Inhumans on the Blue Area of the moon. Quicksilver, frustrated that Lockjaw took them there instead of to their master, tries to run off with Franklin, but is attacked by X-Factor and the Inhumans. Eventually, Lockjaw teleports again, taking Quicksilver, Franklin and Inhumans Medusa and Gorgon with him. "Are You Sure? / Truth and Consequences / By the Soul's Darkest Light / A Matter of Faith"
The X-Men seek the help of the Fantastic Four to save the life of Kitty Pryde. 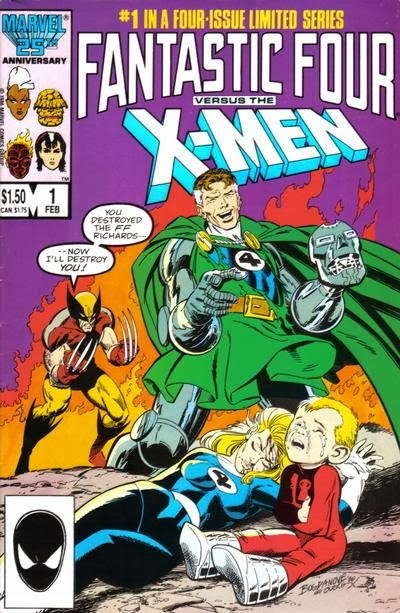 Issue #1: With Kitty's condition getting worse and Moira unable to do anything further, the X-Men reach out to Reed Richards of the Fantastic Four, who possesses a device which may save Kitty, for help. Reed and the rest of the Fantastic Four, including former member She-Hulk, meet the X-Men on Muir Isle to examine Kitty. Reed, wracked with self-doubt following the discovery of an old journal, says he is unable to help her, prompting a fight to break out between the two teams. Issue #2: The fight between the X-Men and the Fantastic Four comes to an end when Dr. Doom, who has been monitoring the X-Men, offers to help Kitty. The Fantastic Four return to New York, where Sue Richards reveals to her teammates that the old journal suggests Reed knew all along that the space flight which gave them their powers would do so. On Muir Isle, the X-Men, though reluctant to put themselves in debt to Doom, agree to let him help Kitty. As mentioned in the last review, I doubt I was as stoked about the reveal of the next slap as some segments of the show's audience, but I certainly didn't mind the end result, particularly since it led to another episode largely devoid of Whacky Wedding Weekend Hijinks. Plus, the show went all in on the kung-fu/revenge movie parody, all of which was elevated by the fact that the rest of the gang just went along with Marshall's tale (with each of Ted's assurances that Marshall wasn't lying involving college in some way), much to Barney's comical disdain. And, while I may not have been dying to know the details of the next slap, it should be noted that the whole slap "mythology" is the kind of thing we've seen far too many serialized dramas forget, overlook or payoff poorly in their final seasons. HIMYM has always been more serialized than the average sitcom, and the writers deserve credit for making sure this relatively significant part of that serialization gets its due before the show signs off. Or, to put it another way, all this slap bet stuff is the kind of thing the final season of Lost would have screwed up. That Boyz II Men ending was pretty weird, though. Every once in a while I encounter something on the internet that annoys me. Well, maybe more than every once in a while. But every once in a while something on the internet annoys me so much I feel the need to blog about it. So perhaps these kinds of posts will come semi-regular from me. 5,000 People Died: That's right, 5,000 people. To put that into perspective, that's more deaths than the Unibomber bombings, the Oklahoma City bombing, the World Trade Center bombing, the 1996 Olympics bombing, the Boston Marathon bombing and 9/11 combined. 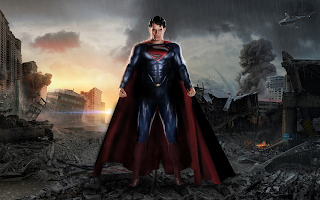 Basically, Superman is partially responsible for one of the greatest tragedies on American soil. It's been a couple weeks without much new TV, but things came roaring back this week, and I used that time off to catch up on a few things, and even finish one particular rewatch. One of the funnier episodes of the season (bot the FBI's zeal to go after internet pirates and most of the Hollywood stuff had me laughing consistently), and one that wisely acknowledges it's tackling an issue with no easy answers. That said, this episode felt, at times like a retread of earlier episodes (in more specific ways than usual): I'm fairly certain Homer has gone on a rage-filled tirade brought on by all the pre-show junk at movie theaters before, and the whole "pirating movies" thing felt like a rehash of the classic "stealing cable" episode from season two, which just made Lisa's relative lack of involvement in this episode stick out. Scott and Jean come to blows over whether or not Jean is Phoenix. 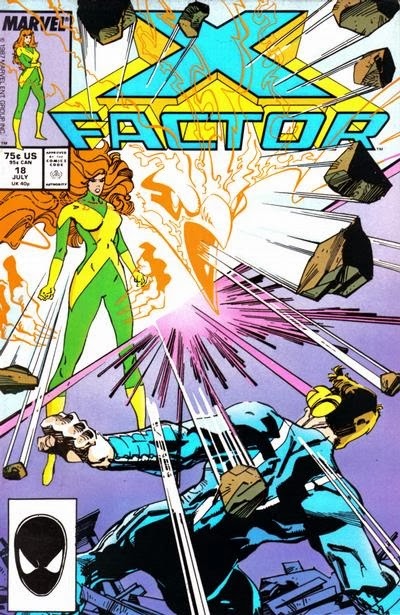 X-Factor returns to their headquarters with Rictor and a frozen-solid Iceman. After Rusty and Skids help thaw Iceman, they discuss their relationship, worried they'll turn out like Scott and Jean. The next morning, Rusty discusses his feelings for Skids with Scott, who tells him that his time with Jean didn't come until they were older. As Scott tells Rusty about how Phoenix held back his power on a butte in New Mexico, Jean overhears him and angrily runs off, much to the glee of a watching Cameron Hodge. 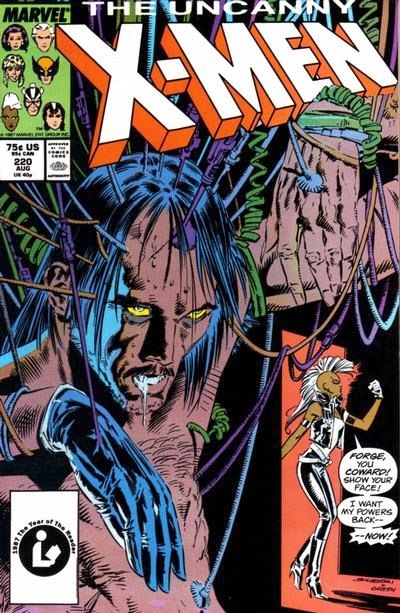 Later, Scott and Hodge discuss Hodge's ad campaign during a training session between Rictor and Beast, and the sound of Hodge's voice causes Rictor to freak out and lose control of his power. As Leech helps him get it under control, Hank, Bobby and Caliban set out to try and track down the missing Boom-Boom. Scott retires to the penthouse, hoping to dig up some info on Hodge in the computer system, but just then Dark Phoenix appears before him, taunting him. Jean overhears him talking about Phoenix and confronts him about his insistence that she is Phoenix. Karma and Chris Claremont leave. In the bowels of the Hellfire Club, Karma takes control of Tessa, and uses her to search for information on Karma's missing siblings, but she comes up empty. 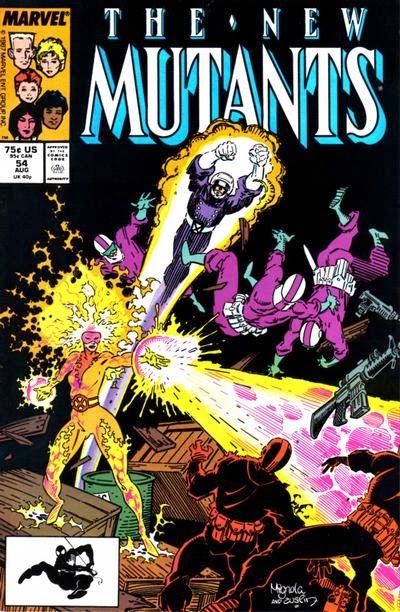 Upstairs, Dani and John Proudstar lay out the terms of the New Mutants and Hellions contest: both teams hunt down the person who sold the fake Selene statute, with the losing team apologizing and taking the rap for any trouble with their respective headmasters. In a nearby suite, Illyana arrives with the group's graduation uniforms, but Karma bows out of the hunt. Transforming into a wolf, Rahne tracks the scent off the statute to Central Park, where she realizes the culprits they're after is Viper and Silver Samurai. Back at the club, Karma and Magneto discuss her missing siblings. In Limbo, the New Mutants observe the Hellions via a scrying pool, learning they've tracked Viper and Silver Samurai to nearby Shooter's Island. Havok re-joins the X-Men while Polaris is possessed by Malice. In New Mexico, Alex awakens from a recurring dream in which he visits the X-Mansion only to be hunted and killed by the X-Men. Having experienced the dream every night since he returned from checking in with the X-Men in New York, he resolves to return there and confirm everything is still okay. The next morning, Lorna takes him to the airport as the Marauders watch. 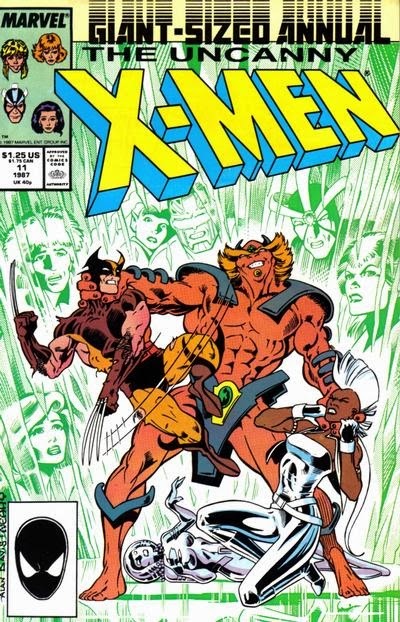 In New York, Alex finds the mansion deserted and, seeing an entry in Magneto's diary for that afternoon, decides to visit him at the Hellfire Club. Back in New Mexico, the Marauders attack Lorna. At the Hellfire Club, a distrustful Alex meets with Magneto, who tells him that if he needs to contact the X-Men, he can do so through Magneto, prompting Alex to angrily storm off. In New Mexico, Lorna fights back against the Marauders, trapping Sabretooth in rock before being hit by an energy blast from Scalphunter's gun. In New York, Alex tails Magneto as he enters the Morlock Tunnels, and comes across a meeting of the X-Men, at which point Alex is discovered. "Runaway / "I'll Take the High Road and I'll Take the Low Road and I'll Get to Sunspot Before Me" / "Every Card is Wild" / "A Devil Among the Angels!" / "Lost and Found" / "The Coconut Grove" / "Triple Cross" / "Grownups and Children"
Sunspot and Warlock run away and join a group of teenaged super-powered petty thieves. 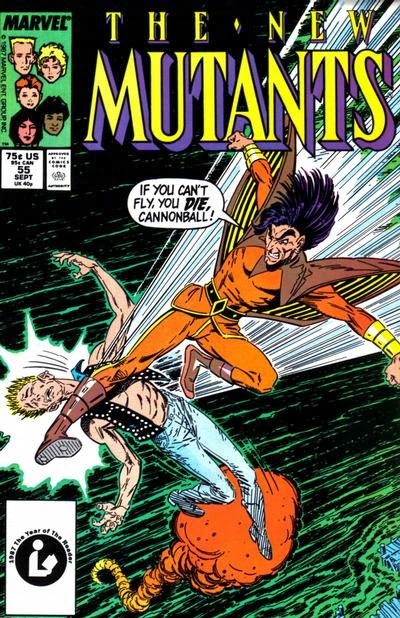 Issue #1: As Magneto invites Moira MacTaggert to the mansion to assist him in teaching the New Mutants, the New Mutants play a friendly game of soccer that ends when Roberto accidentally throws Sam into a tree while powered up, knocking his friend unconscious. Sam is rushed to the doctor, and shunned by his friends, Roberto stays behind. 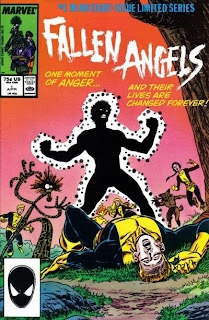 When the New Mutants return, they discover Roberto has run off, prompting Warlock to fly into the city in search of him. Issue #2: In Manhattan, Roberto tries to save a young girl named Chance from a group of muggers, but is overwhelmed and must be saved himself by Warlock, even while Chance disappears along with her friend Ariel. Back at the mansion, Moira arrives, accompanied by Jamie Madrox and Siryn, to whom Magneto gives a portable Cerebro so they can track down Roberto and Warlock. 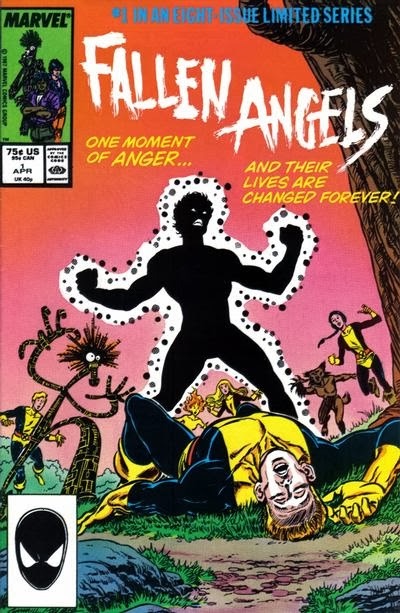 They catch up to the wayward New Mutants just as they're asked to join the Fallen Angels, a group of petty criminals with enhanced abilities, including Chance and Ariel, led by the Vanisher.